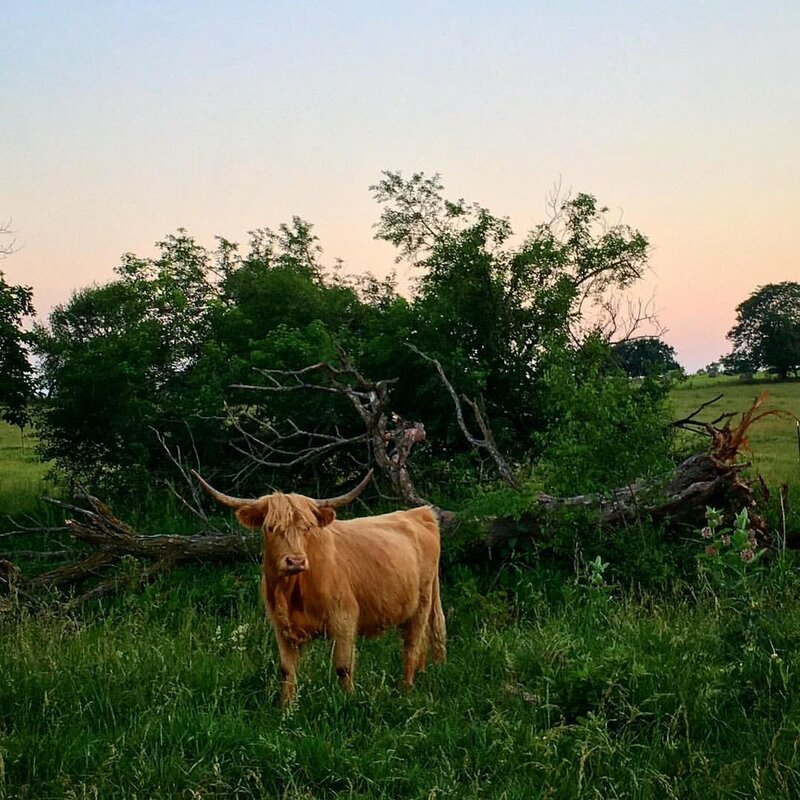 Thurslie Farmstead is committed to raising great tasting grass-fed beef in the most sustainable and humane way possible. 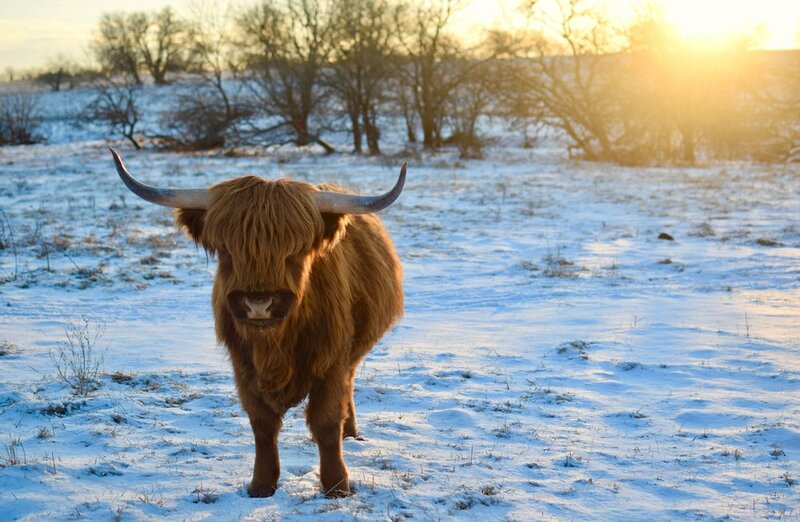 Our herd of Scottish Highland cattle spend all of their time on pasture, never in confined feed lots like most commercial beef. They are also never pumped full of unnecessary hormones and antibiotics. In return, our cattle give us a flavorful, lean meat that is significantly lower in fat and cholesterol - and higher in protein, iron and omega-3 fatty acids. At The Farmstead you will also find a flock of free range chickens, a fruit orchard, berry patch, kitchen garden, and small herd of free range children. We chronicle life on the Farmstead here on the blog, or you can follow along with Facebook or Instagram. We sell our beef as cow shares. You can purchase a whole, half, or quarter share. Prices are based on the hanging weight of the cattle, which is usually between 300 - 400 pounds. The amount of meat you get will depend on the cuts you chose, but most customers receive 60 -80% of the hanging weight. Additional charges to the butcher will apply, and usually cost $1/lb. 15 cu. ft. freezer required. 10 cu. ft. freezer required. 5 cu. ft. freezer required.